EU Member States to May's Brexit Speech: "Good luck on being a ‘global Britain’!" Yesterday, the British Prime Minister Theresa May outlined her plan for the upcoming Brexit negotiations. In her speech, she confirmed her intention to negotiate a “hard Brexit”, leaving the EU single Market and the legislation of the European Court of Justice. According to May, there “is no option for Britain to be half in and half out” and “there will be no compromise over the ability to control borders and regain sovereignty“. The final aim shall be to rebuild „a stronger Britain; a fairer Britain; and a truly global Britain“. She also declared that Britain wants to keep close ties with the EU, especially economically. In order to achieve this goal, May plans to leave the European market, yet she wishes as much access to EU market as possible. May proposes a free trade deal between the EU and Britain as equal partners. If the EU refuses this, Britain will have to consider a new economical model. 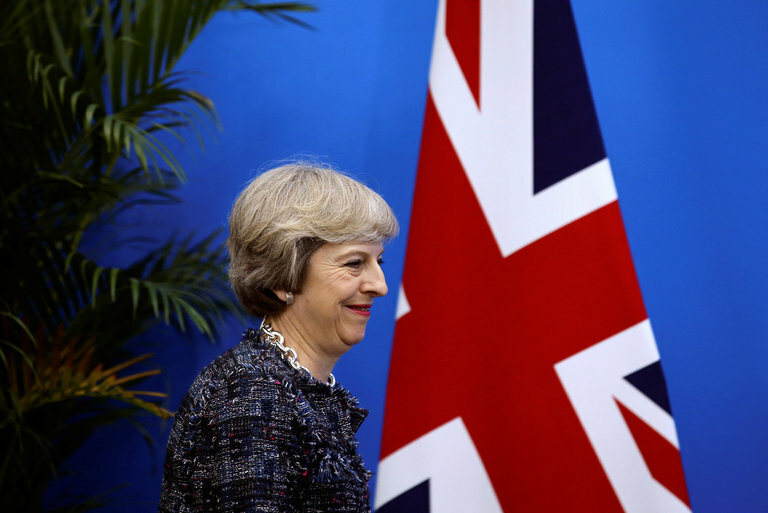 During her speech, May also outlined the importance of quickly reaching an agreement between Britain and the EU inorder ensure the rights of EU citizens living Britain and the rights of British citizens on the continent. It is rather unlikely May will succeed with her plan. For a long time, the government and the former Brexit leadership were advertising a soft Brexit model with access to the common market but without free movement of workers. However, the EU made it very clear such a deal is out of question and that the 4 freedoms will not be separated. The new plan of the UK government, that is to say conducting a hard Brexit and then re-entering the EU-market with a free-trade deal, would concretely have the same outcome. Therefore, the reactions from the continent to May's speech were rather cautious. Namely, May's insinuation to introduce a low tax policy has been understood as a threat. Donald Tusk, president of the European council, called Mays plans a “sad process“ in „surrealistic times“. Volker Treier, of the German chamber of industry and commerce, said that "without a doubt a hard Brexit limits chances of growth on both sides of the Channel ...but for Britain the economic damage is likely to be greater". The French government also questions the British capability to transform itself in „a great, global trading nation”. The French centre-right MEP Alain Lamassoure said Britain had chosen to sink itself. He said: “It’s clear the interest for the British is 500 million customers in Europe, not just 65 million in Britain. When May comes to negotiating with a country like China, she can only offer 65 million British customers. It’s a kind of economic and business suicide.” In a less diplomatic manner, an official of the Italian government commented what has been on everyone's mind: "Good luck on being a ‘global Britain’“.